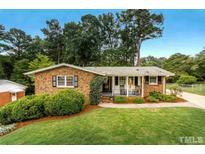 Below you can view all the homes for sale in the Lakemont subdivision located in Raleigh North Carolina. 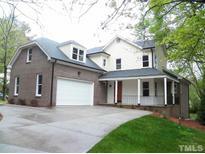 Listings in Lakemont are updated daily from data we receive from the Raleigh multiple listing service. To learn more about any of these homes or to receive custom notifications when a new property is listed for sale in Lakemont, give us a call at 919-928-5027. Large 22x22 garage w/ service door. Very nice! MLS#2248504. 4904. Easy Access to I440 & Downtown. Presale Oppty Avail! MLS#2241106. 2145. The real gem is the finished basement:laminate hardwoods line fireside den, 2 bedrooms could double as media/play/Recreation Room, walkout patio & outdoor space w/ perfect fire pit area! MLS#2235706. 4937. FamRoom: w/WoodBeam Accent Ceiling, Hardwoods, Cstm Srrnd GasLog Fireplace w/BuiltIns & Slider Doors to Scrnd Porch with Fireplace! MLS#2222032. 1128. Abundant walk-in storage. 4" floor planks MLS#2196308. 1275.